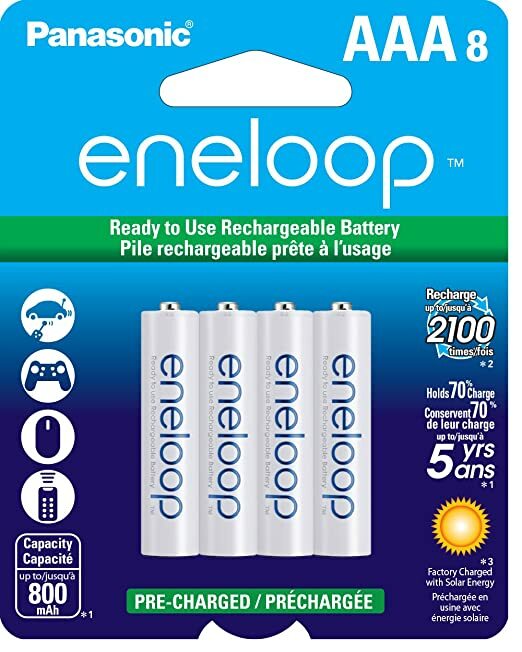 Amazon.com has 8-Pack Panasonic Eneloop AAA Ni-MH Pre-Charged Rechargeable Batteries (BK-4MCCA8BA) 打折后 for $15.49. Shipping is Free with prime or if you spend $35 or more. 这个充电电池很好的， AA 和 AAA 的都很不错。 充电后可以用很久， 而且充电的寿命也是很长滴。 Recharge up to 2100 times,Maintain up to 70% of their charge after 5 years (when not it use). Kmart.com has 36-Pack Maxell AAA Alkaline Batteries on sale for $11.86. Shop Your Way Members (free to join) will also receive $10 in Shop Your Way Points to use on a future purchase. Select free in-store pickup if stock permits. BestBuy.com now is offering these 60-Count Insignia Battery Packs in AA or AAA for just $8.99 (regularly $17.99). These packs are perfect to have on hand to replace worn out batteries in toys, remotes and other electronic devices. Shipping is FREE on orders of $35 or more OR free in-store pickup on select items. Best Buy now you can get these Insignia AA Batteries 48-pack OR Insignia AAA Batteries 48-pack for just $6.99 shipped (regularly $14.99) – that makes each battery less than 15¢ each! If you’re looking for a mix of sizes, Walmart now get this Rayovac High Energy Alkaline Batteries 54-count Pack for just $9.80. It includes 30 AA batteries and 24 AAA batteries! 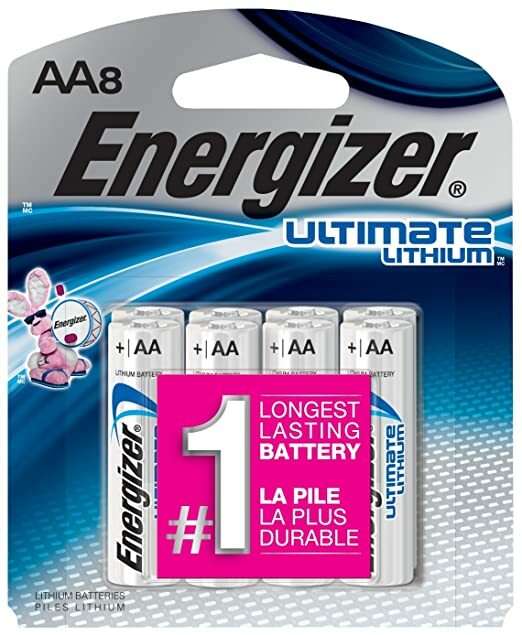 On Amazon.com you can now buy this Energizer Ultimate Lithium AA Batteries 8-Count Pack for just $9.97 shipped after you clip the $1 off coupon and select to Subscribe & Save. Today, April 22nd only, Best Buy is offering this Insignia Assorted Batteries 33 Pack with Storage Box for just $8.99 (regularly $16.99)! This box comes with twelve AAA batteries, twelve AA batteries, four C batteries, four D batteries and one 9V battery!